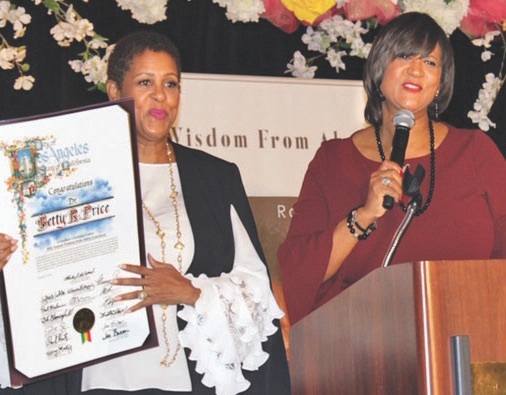 For the 40th consecutive year, Dr. Betty R. Price held her Wisdom From Above Luncheon and once again, hundreds of people came out for the event. 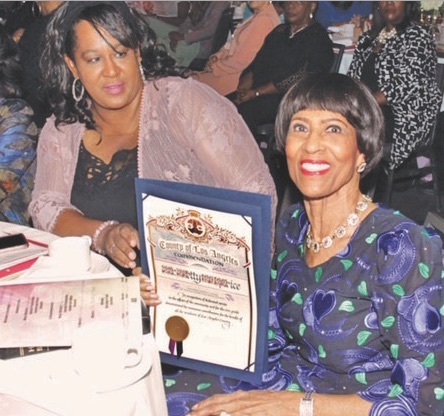 More than 600 women as well as a few men, including Apostle Frederick K.C. Price, enjoyed the spiritually uplifting fellowship highlighted by the message presented by Dr. Betty. 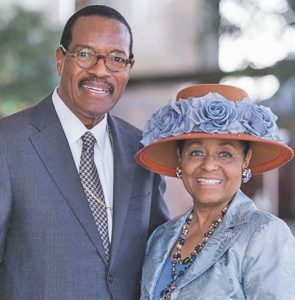 Known throughout the world as the co-founder, with her husband, of Crenshaw Christian Center (CCC), Dr. Betty has inspired thousands of people as a wife, mother, minister, cancer survivor, author and community advocate. Through CCC, Price established food, clothing and prayer ministries and outreach programs to aid people battling substance abuse, domestic violence, and depression. 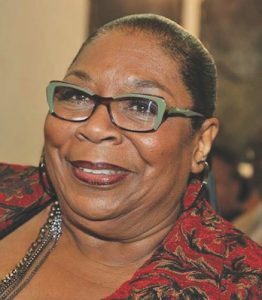 She also established the Vermont Village Community Development Corporation to restore the South Los Angeles neighborhood where CC is located. 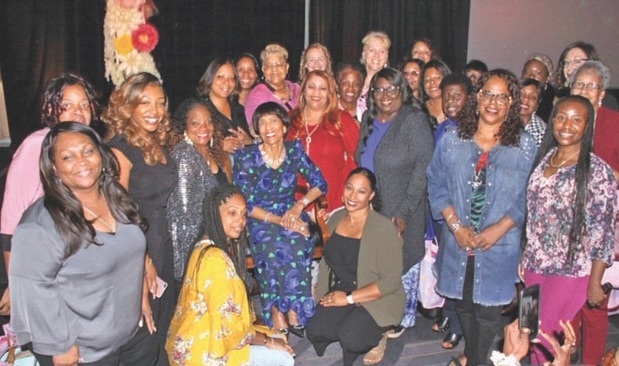 Considering her many accomplishments as well as her humble, loving spirit, it was no surprise that people travelled from as far as New York and Georgia, along with large contingents from Northern and Southern California, to attend the luncheon. 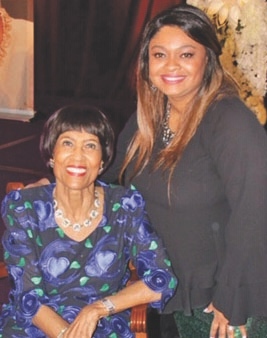 In addition to food, the audience heard tributes to Dr. Betty by Apostle Beverly “Bam” Crawford and other first ladies, presentations by her daughters, Cheryl Price and Angela Price Evans, and music by Myesha Chaney, Stephanie Fields, Harold Johnson and Asha Nwaki. Thunderous applause greeted Dr. Betty as she approached the podium to deliver her words focused on strengthening believers in their walk with Christ. Offering affirming scriptures, she encouraged the crowd to get to know Jesus to experience victorious living. 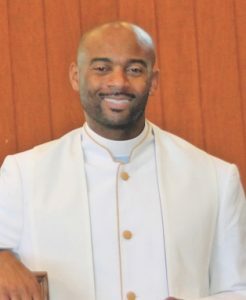 “One of the reasons I stand here today with all of these beautiful women who have supported me all of these years is because God took me just as I was and He has kept me. It’s up to us to take His word and do what He says,” said Dr. Betty. 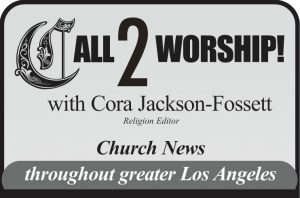 “After you receive Jesus Christ, faith is the most important thing you need to learn. We have the privilege to believe and stand on his word. That’s all I have done all of these years – to believe in the Word through sickness and health. If you want to please Him, you must have faith,” she insisted and added that her faith led to her healing from cancer 29 years ago. 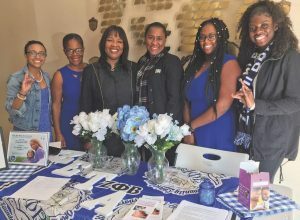 Reflecting on Dr. Betty’s message, her daughter, Stephanie Price Buchanan, “I have to admit it is a blessing to be her child because honestly, what she shares at Wisdom is what she shares with my siblings and I regularly.